The Karnataka government filed a 2700 page petition on 23rd June saying that the Karnataka High Court’s judgment was a “farce”, and that “arithmetical errors made the judgment illegal”. The petition has also added that the judgment had resulted in “the miscarriage of justice” and should be quashed. It is to be noted that the Karnataka High Court had set aside the corruption charges against the Tamil Nadu CM on 11 May. The total value of J Jayalalithaa’s assets disproportionate to her known sources of income was “within permissible limit” and therefore, she was “entitled to acquittal”, Justice C R Kumaraswamy of the Karnataka High Court had said. 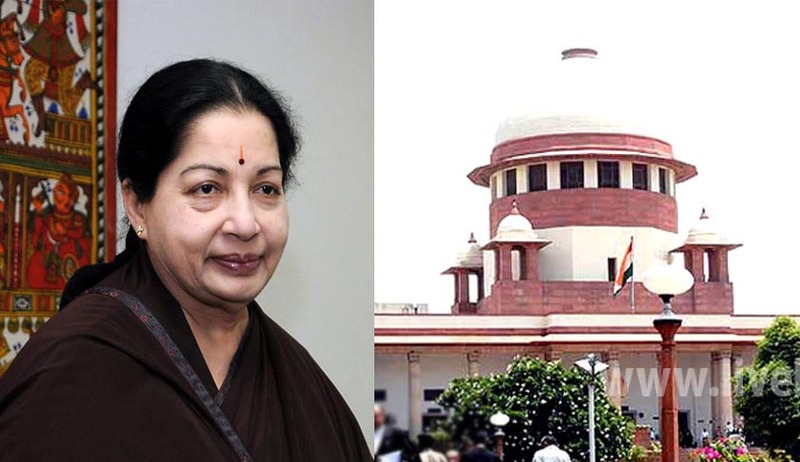 In the judgment running upto 919 pages, Justice Kumaraswamy had noted that judge ’s reasoning “suffers from infirmity”, and from page 890 onwards, had explained the grounds for acquittal of Jayalalithaa, and thereby the other accused as well. He had concluded that the total legitimate income of the accused, firms and companies was Rs 34.7 crore, and that the lack of proportionate amount was Rs 2.8 crore. The percentage of disproportionate assets therefore, was “relatively small” at 8.12% and was therefore “within permissible limit”. The judge had added: “Jaya Publications’ activities are Printing text books, Publishing, Real Estate and Namadhu MGR – newspapers, in my view, a sum of Rs 4,00,00,000/- has to be taken as an income earned by Jaya Publications.” Not only this, Justice Kumaraswamy had said that the trial court judge Michael D’cunha had miscalculated Jayalalitha’s assets. The main premise on which the judgment is being challenged was that Karnataka was not given an ample oppurtunity to act as prosecutor in the case. "That's our main grouse. Even though the Supreme Court allowed Karnataka to act as prosecution, time was not given to us," the prosecution lawyer SandeshChouta said. In its appeal, the government has stated that on revaluation, disproportionate assets will go up from 8% to 76%. Karnataka has also demanded restoration of her disqualification. It is also contended that the rental income has been erroneously calculated. The appeal inter alia number of submissions also submits that the consequences of corrupt acts, also Jayalalitha’s disqualification as an MLA has been erased illegally by an erroneous decision of the Karnataka HC. In addition, each of the valuations has been carefully laid down in the petitions. The attention has been drawn to overlooked loans availed. Interestingly, this appeal has come at a time when Jayalalitha is contesting by-poll elections from R K Nagar constituency in Chennai to file and finalize her returns as Chief Minister of Tamil Nadu.